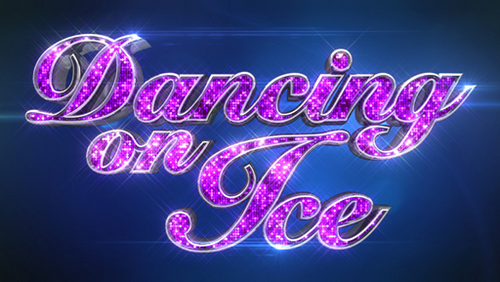 Dancing on Ice Highlights Week 3! Todd and Alexandra were the latest skating couple to be eliminated from the competition! Dancing On Ice continued at the weekend! And this week all the skating couples took to the ice and we bid farewell and au revoir to actor Todd Carty and professional skating partner Alexandra Schauman after they skated to the memorable routine of McFly’s version of The Beatles’ Help where Todd went through the tunnel the first time around but this time with the twist been that Alexandra went through the tunnel instead! They were in the dance-off with actress Zaraah Abrahams and professional skating partner Andy Buchanan who skated in the skate-off to her former routine of Diamonds And Pearls by Prince. My favourite performances of the night were Maria and Ray’s and Beth and Lukasz’s. Although I loved Hayley’s outfit for her performance with professional skating partner Dan. Dancing on Ice Highlights Week 2! Dancing on Ice All-Stars had its second outing last night! In the second week of Dancing on Ice All-stars we were treated to performances from engaged couples David Seaman and Frankie Poultney and Sam Attwater and Vicky Ogden. Former footballer Seaman and did the headbanger. I’m not even going to pretend to be brave. Every time that move is done I look away until I hear the cheering and know that the person is alright. Then I look back. Former Eastender Attwater and skated to a number influenced by weddings and Attwater had a few stumbles. I don’t think he’s used to the ice again so hopefully he can get back into the groove of what he was like when he won the contest. Also on tonight was Eastenders and former Footballer’s Wives star Gary Lucy who skated with Katie Stainsby. The entertainment element was provided by former Eastender (Yeah I know Eastie heavily influenced things this week) Todd Carty with Alexandra Schauman. Zaraah Abrahams brought the sassiness to the show in her performance with Andy Buchanan while former Emmerdale star Suzanne Shaw skated with Matt Evers in an emotionally charged performance. And reigning champ Olympian Beth Tweedle skated a fun routine with. When the votes came in the three couples ending in the bottom three were David and Frankie, Sam and Vicky and Gary and Katie with David and Frankie going first as they finished at the bottom of the public vote. Sam and Vicky then skated off against Gary and Katie in the skate-off in what was quite an Irish-style skate-off. First we had Sam and Vicky doing Riverdance (which I totally guessed from their outfits!) and Gary and Katie skating to What About Now? Which was originally by American band but was covered by Westlife. Both gave fantastic performances with Sam’s and Vicky’s including a headbanger which no, the second she went up in the air I looked away of course and wasn’t helped by my mum saying, “Mind her, mind her” at the TV because she got worried too and then the crowd cheering made it safe to return to looking at the screen again. In the end we lost Gary and Katie after judges chose to save Sam and Vicky in the battle of the two of the hot men in the competition’s skate-off. Seaman said it had been great to get to skate with his fiance while Lucy thanked his skating partner Katie.